Have a look at the properties I have recently closed with clients. This historic townhome was designed by renown architect Tim Seibert in the celebrated style of the Sarasota School of Architecture. The outside is invited into every interior space in this renovated townhome, which features expansive Gulf of Mexico views and direct access to Siesta Key Beach. Full water views are visible from this spacious condominium in Condo on the Bay, which is one of only a few buildings in the downtown area that features boat docking right on Sarasota Bay. With a full offering of amenities right on site, my buyers found the low-maintenance waterfront paradise they were looking for. My sellers, relocating to the mountains of North Carolina, sought to sell this stunning, high-quality expansive home on a large lot in Laurel Oak Estates. The new owners will appreciate the spectacular garden and outdoor entertaining area, as well as the fine finishes throughout this beautifully updated home. 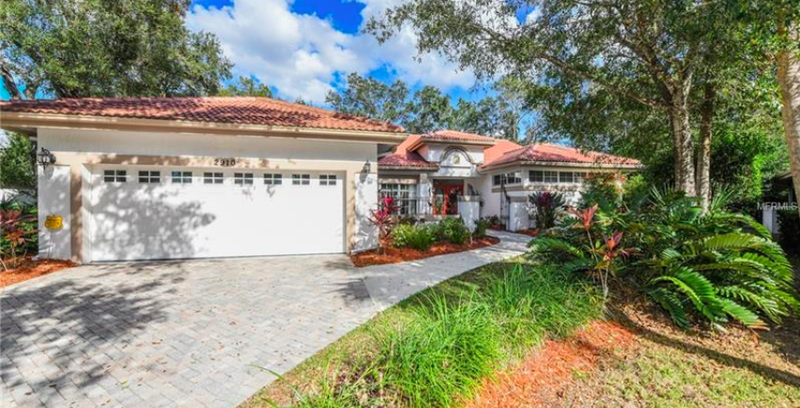 Located on a large corner lot in the exclusive enclave of Bird Key, this home features a timeless interior set amongst a verdant Floridian paradise yard. Being on Bird Key means easy access to the waters of Sarasota Bay and the Gulf of Mexico, as well as the wonderful amenities of the Bird Key Yacht Club. Tucked away on the quiet & secluded north end of Longboat Key is Land's End. Where the land ends, the fun begins in this small waterfront community, which offers its community a large pool, tennis & pickle ball court, and deepwater dockage for boaters. The new owners of this fully-furnished vacation home will enjoy making memories for years to come on the sparkling waters of Sarasota Bay & the Gulf of Mexico. Situated on a quiet cul-de-sac street, the privacy of this quarter-acre lot will dazzle the new owners as they float in the large pool or steam in the attached spa. The spacious lanai has ample room for entertaining, too! This home features a wide living/dining space with a full wall of sliders overlooking the pool and secluded backyard. Located in west of trail San Remo Estates, this exquisite residence offered my buyers the waterfront life they desired. With two boat lifts, an amazing outdoor living area, and a stunning architectural interior, this home offers both luxury and comfort in a contemporary coastal setting. This lakeside home in serene Serenoa Lakes was perfect for my buyers. A spectacular pool, extending to a wide lake view, captivated the buyers. The home's size met their needs for extensive family gatherings. The quiet, gated community offers both tranquility and security for owners. Located in one of The Meadows' communities featuring large lots, this spacious home with a gracious master suite sold in just 5 days! The new owners will enjoy the large pool & spa in a very private yard, as well as the soaring ceilings and multitude of winders, bringing the outdoors in from every room. The needs of my buyers were well-suited to this terrific home in Southpointe Shores, a short stroll from the bay. The large, beautifully-landscaped lot and open-concept interior suited their wish for casual indoor and outdoor living. My boating clients loved this pool home in Longboat Key's gated Bay Isles. The extended waterfront allows them to realize diverse boating activities, a great view, and lots of outdoor living space. As with all Bay Isles property owners, they have access to Gulf-front beach, as well as bayside living. This sanctuary-like home, designed by architect Carl Abbott, is encased in red cedar inside and out, thus taking the name Villa Cedro, or "House of Cedar." Tucked in the quiet community of Hidden Forest in between the trees, Villa Cedro was designed in concert with the land. It was an honor to represent this award-winning property and achieve the sale within an unexpectedly short period of time.